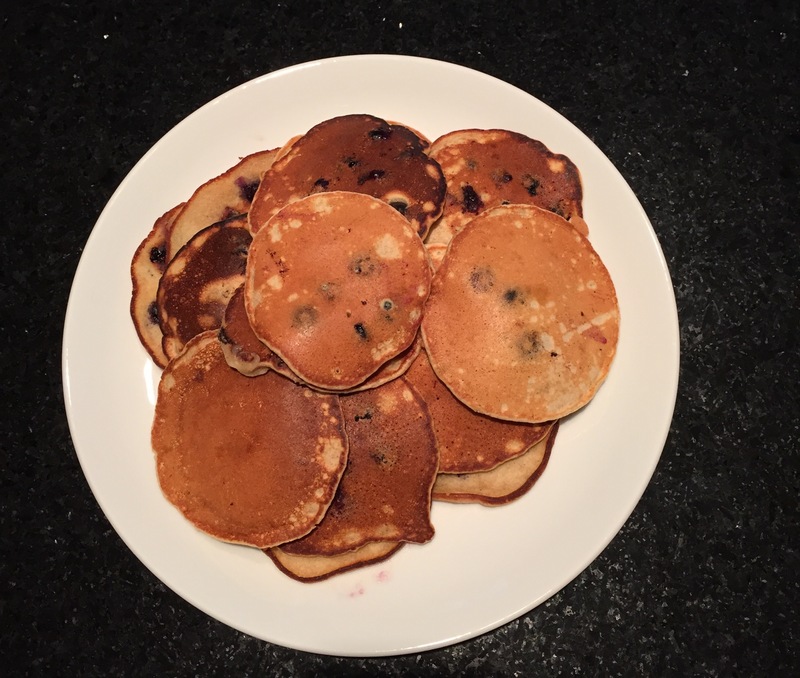 Blueberry pancakes when blueberries are in season! We freeze blueberries so that we can enjoy fresh pancakes in the winter or an occasional blueberry buckle or crumb cake. 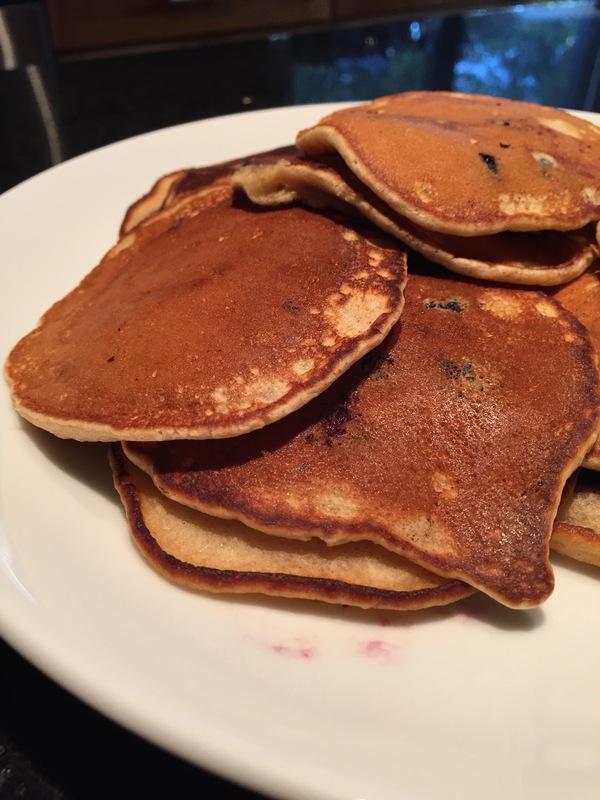 These pancakes are a great reward for an early morning run or ride. The recipe makes about 16-18 dollar size pancakes – about 3 to 4 inches in diameter. In a medium mixing bowl, toss the flour, baking powder, cinnamon, nutmeg, and salt. In another bowl, stir the half-and-half, milk, brown sugar, butter, egg, vanilla, and lemon zest until smooth. Stir the liquids into the dry ingredients until smooth, keeping mind that there may be some lumps. Fold the blueberries into the mixture. Loosely cover the bowl and let the batter stand for 15-20 minutes. Heat the griddle over medium-high heat, spread a little butter over the griddle. Gently drop the batter by heaping tablespoons and cook until the bottoms are golden and bubbles are popping on the surface – approximately 1 minute. Turn the pancake over and cook for an additional minute on the other side. Repeat until all the batter is used up. Serve with maple syrup.